Not a month goes by without someone calling me up about a website and a dream. Or, more accurately, a dream that needs a website. And when I say website I’m referring specifically to an eCommerce website. They come from all backgrounds wanting to sell everything from kids clothing or jewelry to pet supplies. They’re excited. They have a vision. They know that online ecommerce sales are forecasted to reach $262 billion in 2013 and $370 billion by 2017 and they want to get a piece of the action. Who can blame them? But then we start to talk about the costs. “How much does it cost to build an ecommerce website?” they ask. When I tell them it costs at least $10,000 and more like $20,000+ the silence on the other end is deafening. But that’s really a trick answer because the price to build a state-of-the-art eCommerce website is ALMOST irrelevant. Almost. The cost of building this dream in the clouds is only the tip of the proverbial iceberg. Building the site is only the first step to building an ecommerce BUSINESS. They are so focused on this dream of selling products while they sleep or sitting on a beach somewhere in Costa Rica that they aren’t looking beyond the day when their site is built and operational. Because the other part of this iceberg is going to be promoting the hell out of that site to drive constant traffic to the website in an effort to drive sales. 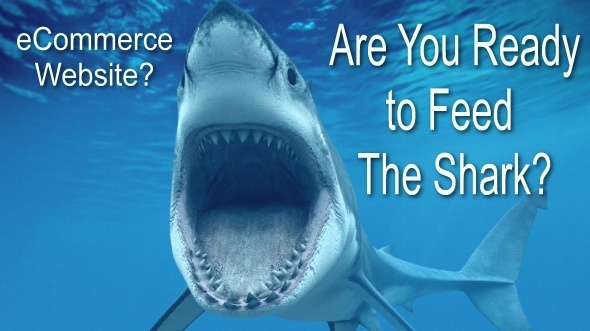 An ecommerce website is like a shark — it has to keep moving in order to survive. To bring the point home, that the $10 to $20 + grand and more to build the website is the least of their challenges to starting a viable business, I say to them, “OK, what if I built the site for free?” At this point I can hear them exhale. “Just for argument’s sake, let’s say I build the site for nothing. What are your plans and budgets for advertising, PR, social media marketing, search engine optimization, affiliate programs and other traffic drivers?” It’s at this point in the conversation that the phone goes quiet again. Because ask yourself, is building the ecommerce website the same thing as building a business? So without belaboring the point, you can build your own site yourself for as little as $15 a month using a very robust solution such as Volusion or $14 a month for Shopify or sell branded products using a free solution such as Cafe Press. There are many, many, others (and no, I am not an affiliate of either of these) so building your own ecommerce website using your own sweat equity is an option open to anyone. 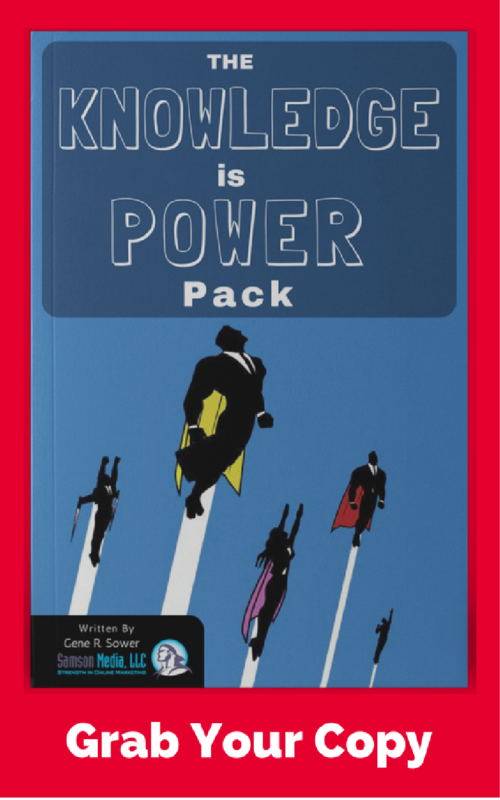 Anyone can build their own ecommerce store and as a result —- everyone is! It’s like the old California Gold Rush scenario. A few people made fortunes from prospecting for gold in them thar hills but the only people who consistently profited were the companies selling the prospecting equipment! So if you have the capital to invest in an ecommerce venture, whatever you think it will take in terms of time and money to build and launch an ecommerce site, multiply that dollar amount by 75% and that’s your marketing budget. For year one. Gotta keep feeding the shark! Gene: You’ve hit the nail on the head…. field of dreams…..but it’s only in the movies….